The fast-growing startup behind AI-powered news and video apps Toutiao and TikTok is valued at $75 bln, on par with Baidu. Marketing and tech synergies would benefit both if ad spending falls. A 2019 merger will help rebalance the power with acronym partners Alibaba and Tencent. 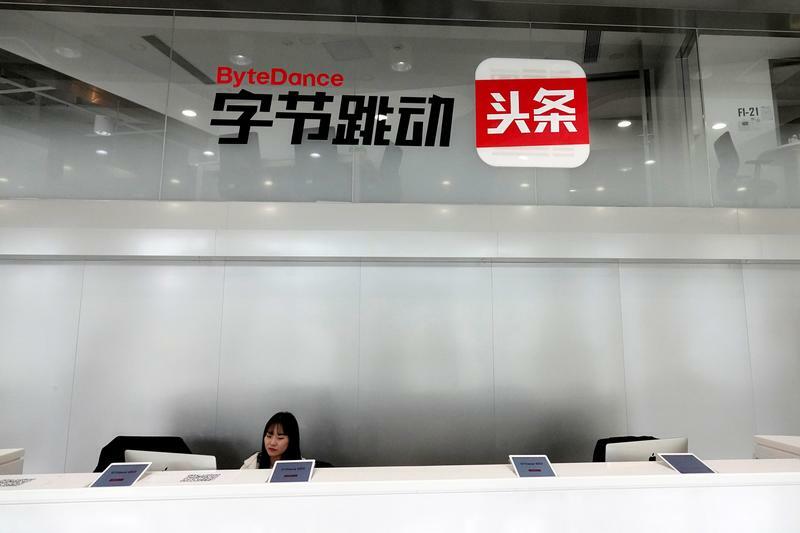 Signs of Bytedance and its news aggregator app Jinri Toutiao are pictured at its office in Beijing, China October 21, 2017. Picture taken October 21, 2017. ByteDance, an operator of news and video apps, was in October in the process of raising at least $3 billion from investors including Japanese tech and telecom company SoftBank at a valuation of $75 billion. Jinri Toutiao, a provider of custom news feeds, has 120 million daily active users, while Douyin, also known as TikTok, which allows users to upload and share videos, has 150 million. Together, Douyin and TikTok have some 500 million monthly active users.